Compatible audio jack replacement part? I’m having issues with my headphone jack and want to try replacing it, but can’t seem to find a part specifically for the K550L. Would a jack from another K series be compatible? And if not, where would I find a good replacement? Just curious if you have tried using rubbing alcohol on a q-tip to clean out the jack. Sometimes dust gets repeatedly smashed between the contacts and forms a film. Thank you Amily, I tried updating my audio drivers, but it did not help. Any advice on how to properly tighten the jack? Most of these jacks short out the internal jack pieces to allow for the speakers to work. In other words, inserting a headphone plug will interrupt the normal flow to the speaker and send it to the headphones. That being said, along with your description of what is happening here, I would suspect a bad connection on the board for the jack itself. 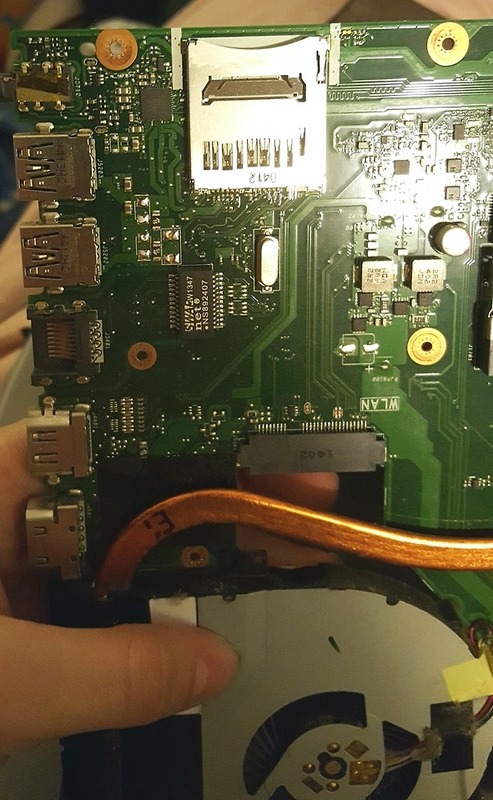 If the solder connection is bad and loses connection to the board, it will appear to the system that a plug was inserted. That poor connection would also explain the requirement for an exact position for the plug as well. When in that particular position, the connection to the board is made. I would open up the unit and look at the connections on the board at the jack. If you can, take a picture and post it here as well. Hopefully a simple resolder of the joint is all that will be required. I can't tell form that picture, but it won't hurt to try and re-solder the connections for the jack. Try that first and see if there is any change in the behavior. If not, then the jack needs to be replaced. Measure the dimensions of the jack. Mouser or Digi-key will likely have a replacement, but you will need to match the size. This appears to be a 6-pin surface mounted jack. Aarin Miller will be eternally grateful.